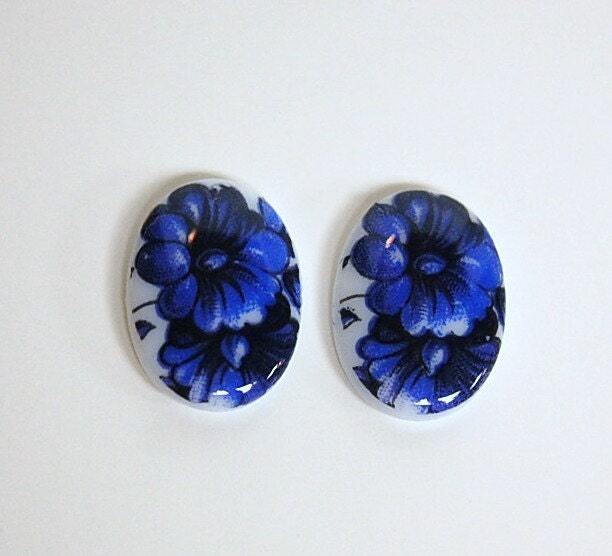 These are vintage glass cabochons that were made in Germany. They feature blue flowers on a white base. These measure 18mm x 13mm. You will receive 2 pieces. Extremely happy with these stones. Thank you.